The design of Dr Antonio Martins coconut water pure organic has been jazzed up for the coming season and will be available on the organic shelves in spring 2019 in a new bright tropical design. The design of Dr Antonio Martins coconut water pure organic has been jazzed up for the coming season and will be available on the organic shelves in spring 2019 in a new bright tropical design. The coconut juice for this product line comes from green ripened coconuts that stem from organic-certified, slightly larger plantations in Sri Lanka. Thanks to the decision to buy coconut water from Sri Lankan farmers, Dr Antonio Martins has already been able to create 8000 jobs there. However, it is also important to guarantee a good everyday life for the farmers, workers and their families in terms of education, health care and housing. The tropical thirst quencher coconut water pure organic does not only feature a new redesigned packaging, but it is the first European coconut water to be the proud bearer of the ©FAIRTRADE seal. More mature green coconuts have already formed fruit flesh and the remaining fruit juice has a slightly sweeter taste profile than it is the case with young coconuts. At this harvest stage, the coconut has higher usability (fibre, pulp, juice) and its juice can therefore be offered at lower prices. 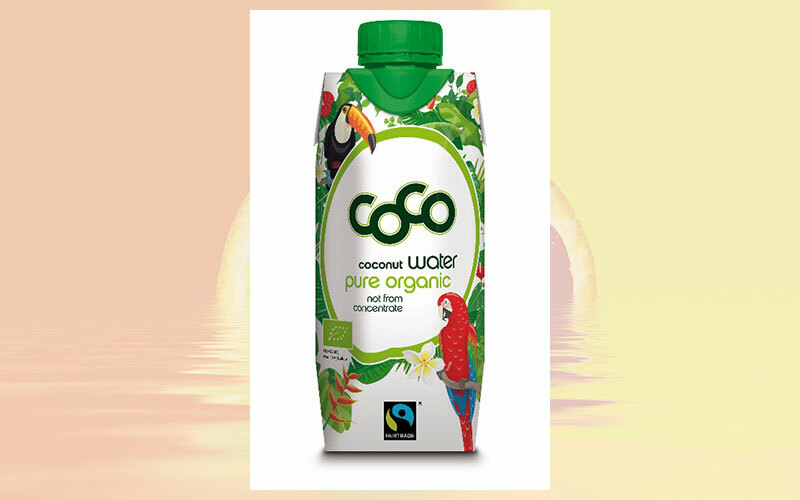 The coconut water pure organic is available in the 1 litre version (RRP € 3.89) and the practical 0.33 litre version (RRP € 1.69) in organic shops and from May 2019 in Dr Antonio Martins own online store. A real must for price-conscious sports savvy & lifestyle organic buyers with an eye for fair trade and modern design.